The DS160 combines power with wide angle coverage to give you the most bang for your buck. The quality of light is exceptional due to a round flash tube and custom powder coated reflector designed specifically to deliver the softest, most even coverage possible. 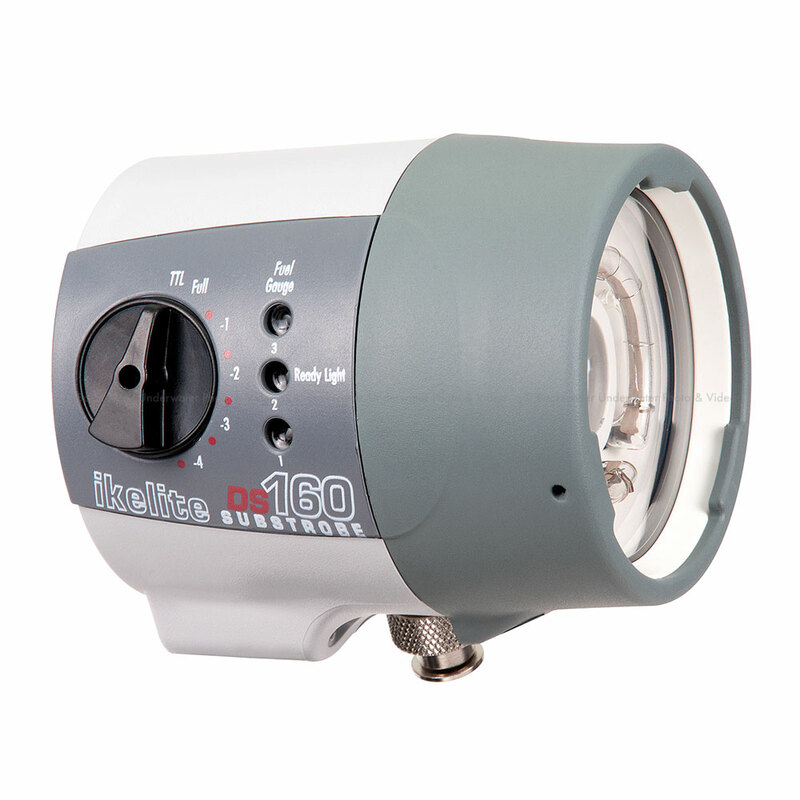 When combined with a compatible Ikelite TTL system or film TTL system, the DS160 automatically adjusts brightness to provide perfect exposure whether you're shooting macro, portrait or wide angle. A battery pack is required for operation of this strobe front. Battery pack sold separately. Use only working Ikelite Li-ion (Product Number 4067), NiMH (Product Number 4066.5), or NiCad (Product Number 4066) battery packs. Please note that older battery packs may not provide optimal number of flashes per charge or recycle times. Use of a flooded or damaged battery pack with this strobe front may cause damage which is not covered by warranty. If you are experiencing problems with your strobe functioning, we recommend trying a new battery pack prior to returning for service. Our optional, state of the art Li-ion battery technology produces over 450 full power flashes at an unprecedented 1.4 second recycle time. Our proprietary quick-release toggle system attaches the battery pack with ease and confidence, making a flooded battery virtually impossible. The size of the DS160 is uniquely balanced to its weight to provide near neutral buoyancy in salt water. * When used with a Li-ion battery pack.